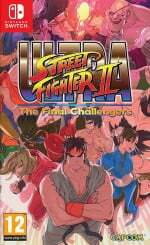 Ultra Street Fighter II: The Final Challengers is one of a few enticing titles due in May, and will hopefully make a mark at retail for the Nintendo Switch. Capcom's retro reimagining / remaster / sequel-thing looks rather fun, and could certainly appeal to gamers old enough to remember the 'original' and younger players with a taste for old-school gaming. It's not far away, anyway, and the latest episode of Capcom TV is all about the upcoming Switch release. It's in Japanese and is a bit odd at times, but if you skip to the 8:45 mark there's a neat promotional trailer as a good starting point. The presenters then get stuck into various matches, and also mess about with the colour customisation on characters - with some odd results. Are you looking forward to this one on Switch? I just...I just wanna play it right now! Capcom why do you torture meeeeee? Hmm if I know Capcom I'm better off holding out another 20 or so years for the Final Ultra edition, with much requested fan favorites such as Slighty Agitated Blanka, Alcohol Abusive Guile, & Ramen Chun Li. I'm on to you Capcom! I wanted this until I saw the price and said no. Then out of boredom I played SF5 for the first time ever using the SF5 netcode free beta test a few weeks ago. SF5 was so bad I can now justify the price of USF2 and will be getting it. Capcom needs to have Hori make fight pads for the Switch. For the first time a Nintendo direction pad doesn't appeal to me (it's too flat), the Wii U Pro Controller is a lot better imo. And I'm not spending almost two hundred dollars for a fighting stick for this game. Old school SF is my favorite though. I've already got KOF 98 so I don't think I need this at all. @Marios-love-child It's confirmed for $40/£35 and "check retailers" in € zones. So likely €45-50. Btw, I really want Street Fighter Alpha 3 / Street Fighter III 3rd Strike / Capcom vs SNK 2 reappeared again on Switch. Huh, reminds me of the color customizatioin from Capcom Vs. SNK 2. I was hoping they hadn't forgotten about that. It was so much fun! @Ichiban I can't wait to play Street Fighter II: The New Final Challengers, Ultra Turbo Edition in 2043. 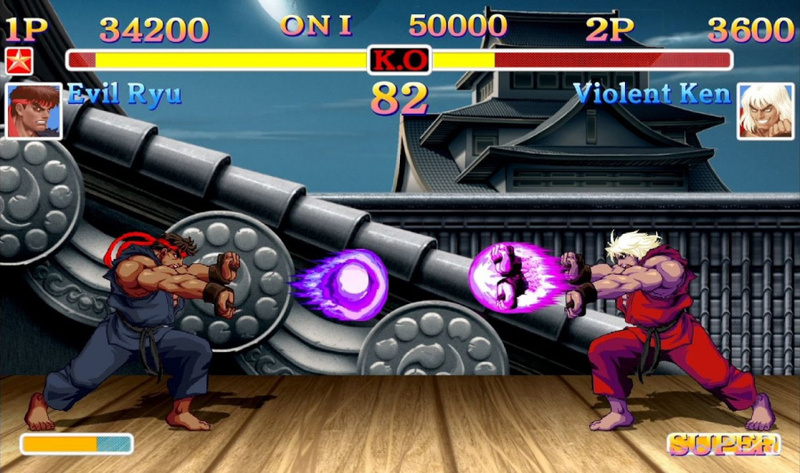 I'll stream that sweet Street Fighter II goodness directly into my cerebral cortex. When is Capcom going to justify a $40 price for a remaster of a 20 year old game? 😨 what did we walk in on? @gortsi You didn't read my comment apparently... "Capcom needs Hori to make "Fight PADS" for the Switch." I also said I'm not purchasing a Fight Stick by spending two hundred dollars on one. Capcom's Professionals are amateurs. Everyone is complaining about the price. Fine. 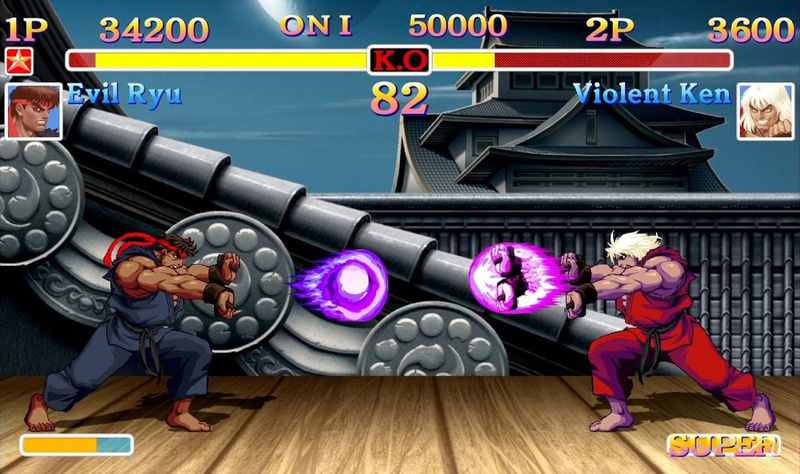 I know the game is a bit too obscure, but I would love to see Street Fighter 3: 3rd Strike get this kind of treatment. Still play it on my Dreamcast when I'm in the mood for a fighting game, and I would love to be able to play online with updated sprites! Not that all Japanese TV/advertising doesn't come across weird here, but these Capcom TV guys seem odd even for Japan standards. What exactly is their target audience with this, elementary school kids? And why do they all have stripper names? "Including crazy colour customisation options"
Like how that's exactly what Evil Ryu and Violent Ken are. Palette swaps. This game is going to be overpriced because it's Switch, that's its thing(should be a €15 download, not €50 which is its likely retail price). Then throw in another €80 for a Pro controller because you definitely need a proper D pad. Day one buy. Still my favorite fighting game after all these years and there isn't one that's ever come close. I'm on the fence about this because of the price. If I find a good deal I will be tempted to pick it up. I'm so, so ready. At last my 8YO will get to see where Zangief comes from, and why it cracks me up when he talks about being a badguy-not-a-bad-guy in Wreck-It Ralph. Awesome! This is gonna be fun playing with my son! @Menchi187 you can get a free shirt or poster if you preorder from Nintendo's UK store. If I lived in the UK I would jump on that in a heartbeat. We are being flooded with neo-geo fighters for $7. It may be a tough sell at $40 by the time they finally release this. @Ballzilla We live in Ireland, not the UK. And Nintendo don't deliver to Ireland despite calling themselves Nintendo UK & Ireland(Eire) on various parts of their social media. @YeshaYahu5417 hahaha sorry, I read it quickly and thought you meant fight sticks. My apologies. 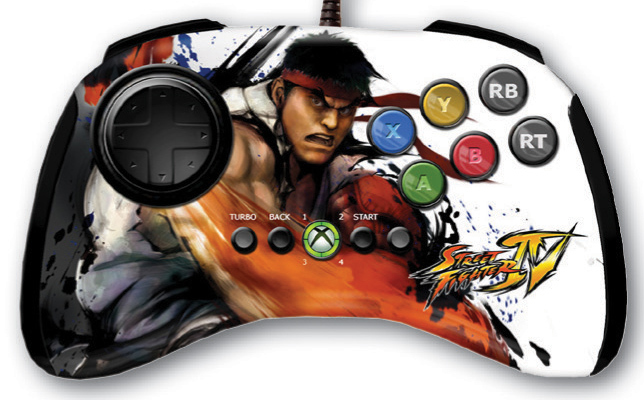 So do you mean something like this: https://images-na.ssl-images-amazon.com/images/G/01/videogames/detail-page/sf4.ryu.controller.01.lg.jpg ? @SLIGEACH_EIRE Congratulations I guess? The website says UK & Ireland so that's why I mentioned it. @Ryu_Niiyama lol yeah! Their fighting pads were my favorite. @gortsi exactly.... there you go. @Ballzilla As he said, they love to claim UK and Ireland yet don't ship here. Which makes no sense since they used to ship Club Nintendo rewards here since I got a few physical items from them. I hate the artwork on the HD versions. It has no character whatsoever and the artistry is poor to say the least. Seriously ugly version.